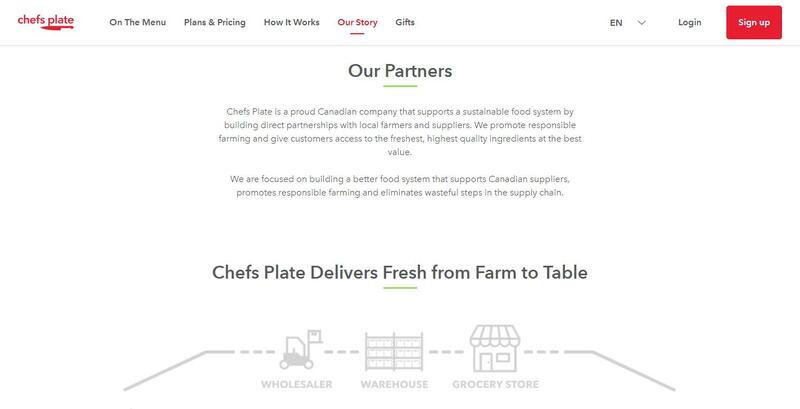 What Makes Chefs Plate Different? How Easy Is Chefs Plate To Follow? 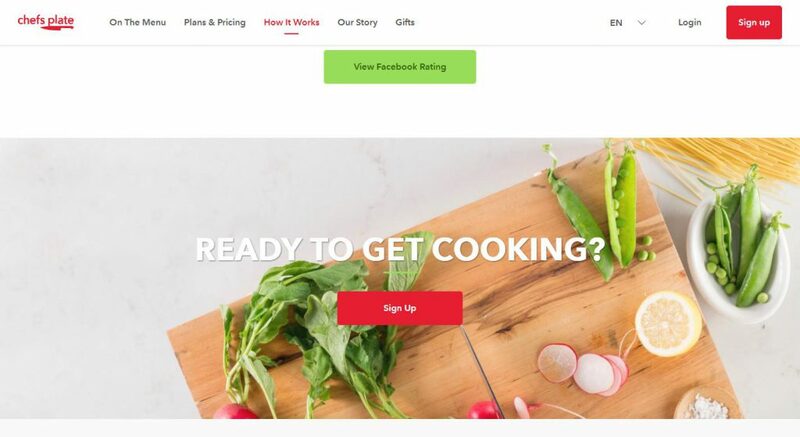 Chefs Plate a renowned meal delivery service provider is putting Canadians people back in their kitchen through providing easy to cook meals, easy to follow recipes as well as fresh portioned ingredients right at the comfort of their homes. 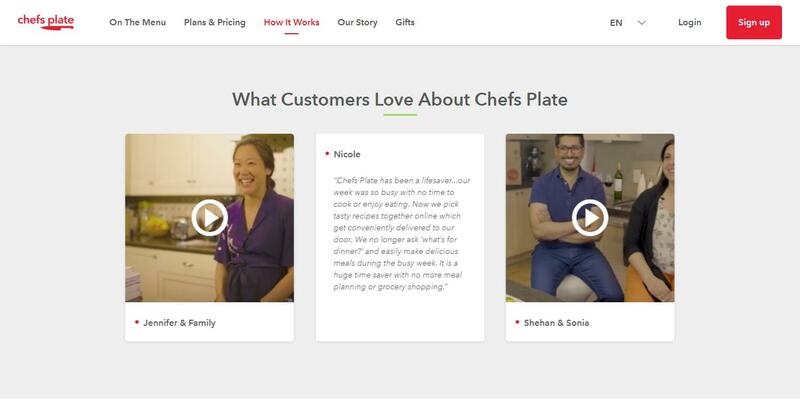 Chefs Plate will take out the guesswork of preparing food and have made meals fun again. 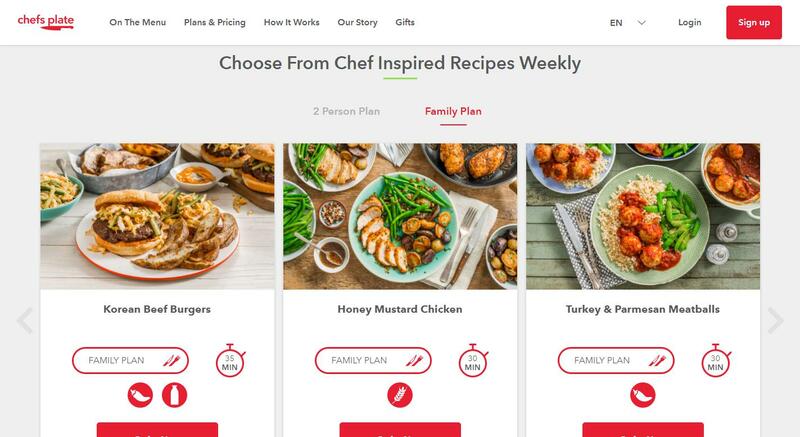 Gone are the days of going to grocery stores during Sunday evening, searching online for recipes, measuring and chopping the ingredients, Chefs Plate will handle everything for you. Chefs Plate was discovered in the year 2014. 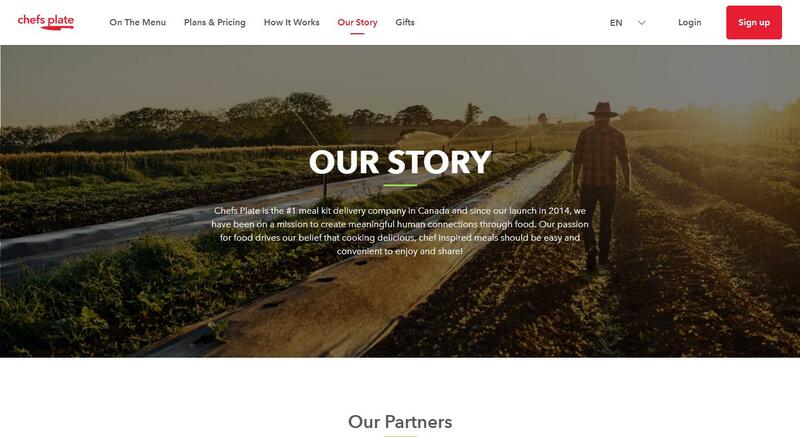 With an office in Toronto, Canada, the company has an ambitious objective of becoming the number one source of healthy meals in Canada and perhaps all over the world. 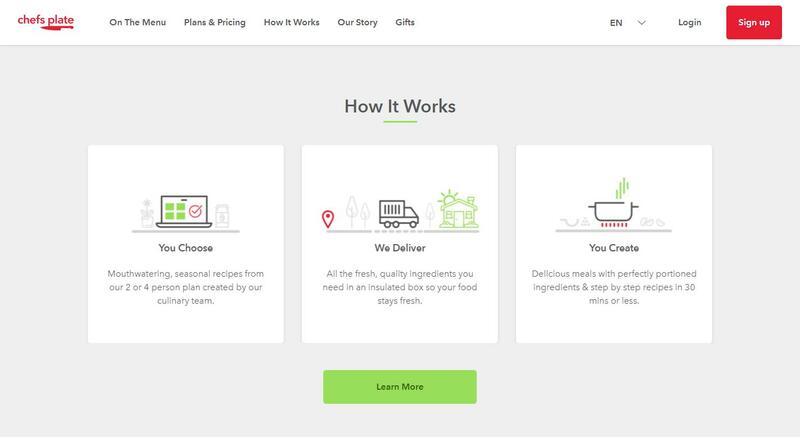 Its approach to food delivery business isn’t precisely new or original. 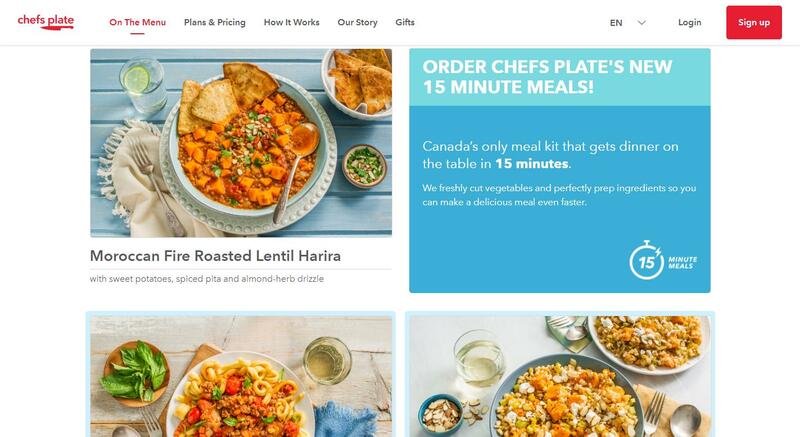 As a matter of fact, there are lots of meal box delivery service providers in Canada, like for example Blue Apron. On the other hand, they managed to become popular this is because of the high quality customer service and of course superior meals for a fraction of cost. 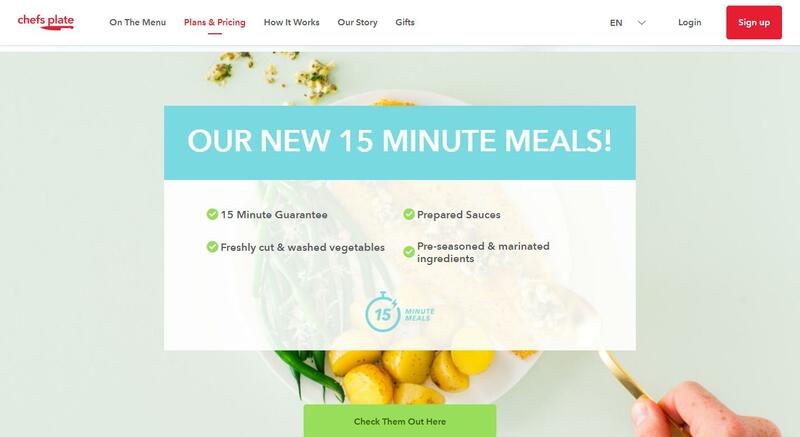 If you are considering Chefs Plate as your meal delivery service provider, first it is very essential to know more about this company by means of reading this Chefs Plate Review. Keep reading our honest Chefs Plate review to learn more. 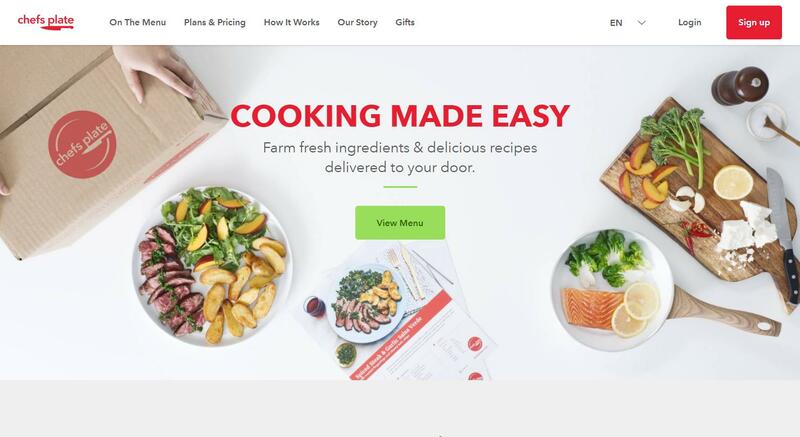 The main objective of this food delivery service is to make your home cooking stress free by means of offering fresh from the local farm ingredients as well as easy to follow recipes which allow you prepare a delicious dish in just a matter of 30 minutes. 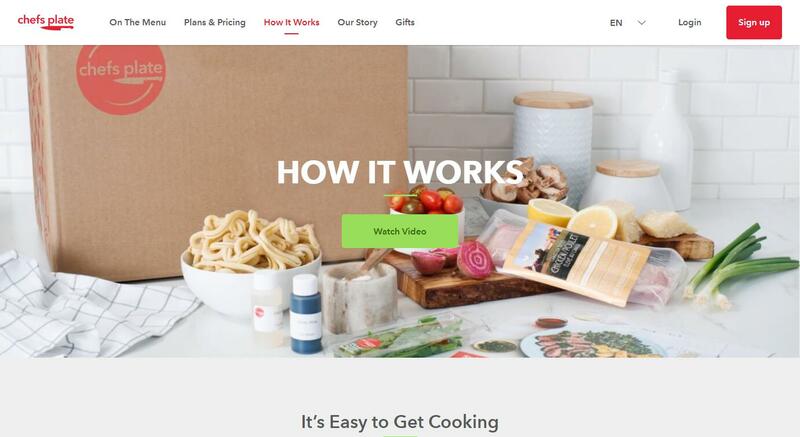 However, compared to other meal kit delivery service providers where you can order meals on their website, Chefs Plate needs you to subscribe. But, registration is free you just pay for your orders and recipes. 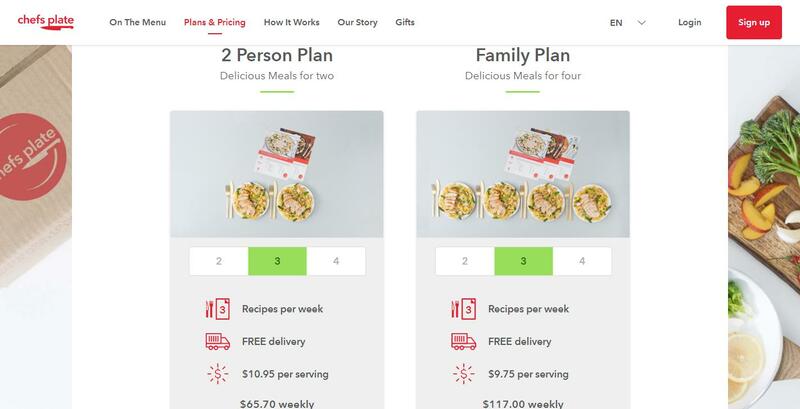 Customers can pick between 2 meal programs- the two people’s meal plan which allows you eat scrumptious meals good for two. 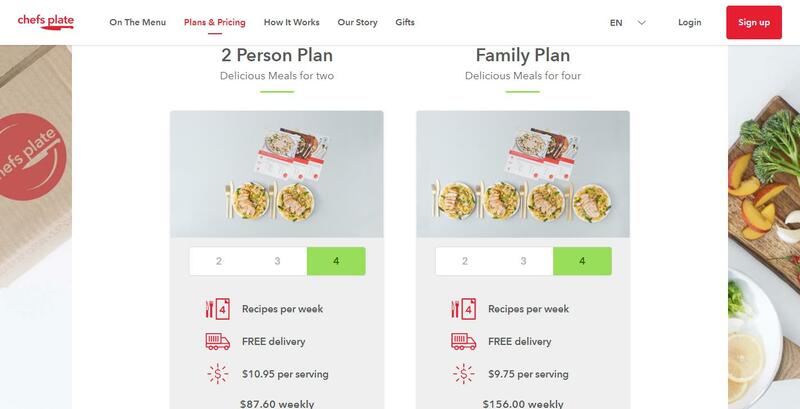 There is also a Family Plan available perfect for 2 adults and 2 kids, you can choose whether you like to cook two, three, or four meals a week. Your subscriptions are renewed automatically; however you can stop or withdraw anytime you want, even after the first delivery. Subscribers can also pause or skip their subscription straight from their accounts and manage the orders up to four months ahead of time. 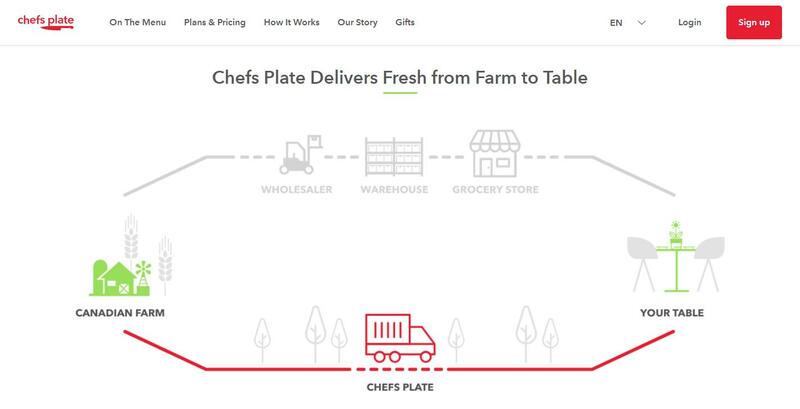 Even if Chefs Plate is not that unique when it comes to food delivery service, still this company stands out when it comes to customer service and high quality meals. 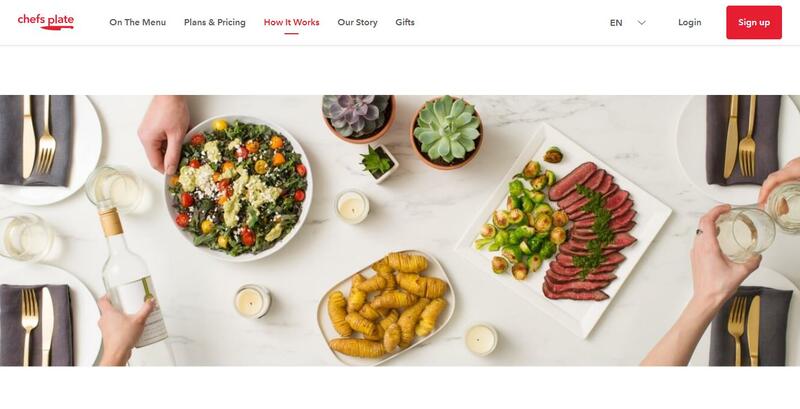 Its commitment to superiority makes them the number one option for a huge number of clients in Canada, specifically omnivorous foodies who would want to try new recipes, however want to lessen the time spent in preparing food in the kitchen. The ingredients are sourced from national and local farms which offers responsibly cultivate produce and chemical free. The food you receive is fresher, better than those available at the nearest grocery store. 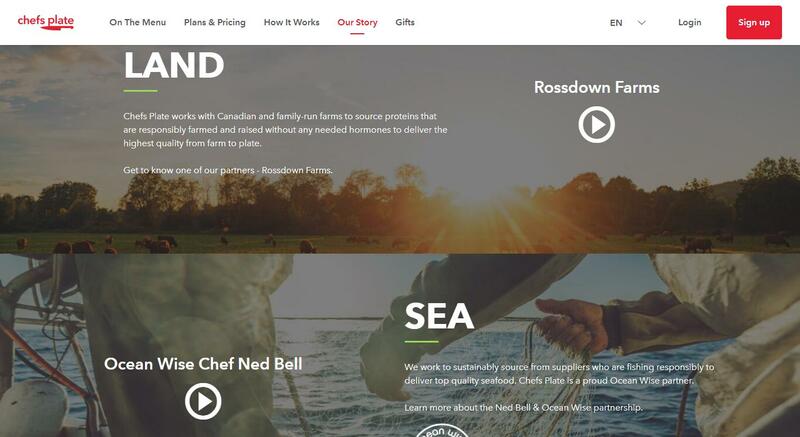 Additionally, you are also given the chance to know the sources of their foods and know their top purveyors, local farmers as well as signature products such as Albert’s Leap Cheese, Kozlik’s Canadian Mustard, Unionville Mushrooms, as well as E&B Medel Orchards. 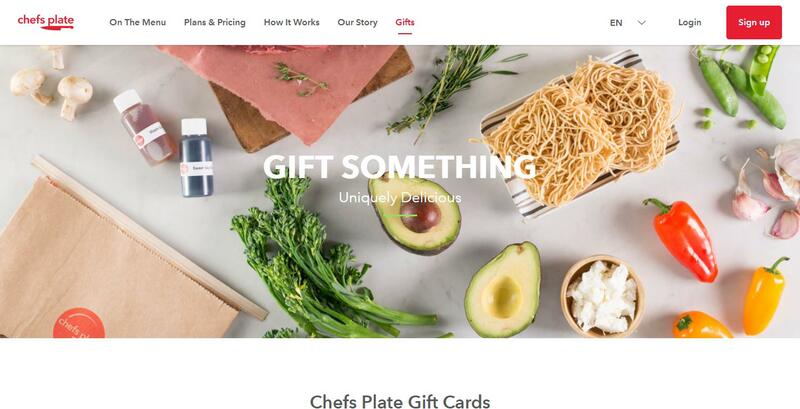 For those who would want to share the goodness of Chefs Plate meals with their family and friends, this food delivery service offers a thoughtful gift Each time you refer friends, you get two free servings with the next delivery. Your friend also gets three servings of your first order. You can buy a gift card to avail a good gift fast, with the price of your choice. 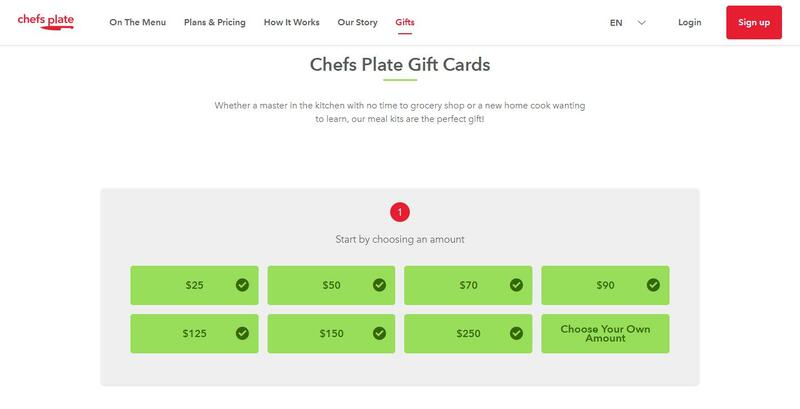 Chefs Plate gift cards could be redeemed for Family box or 2-person. 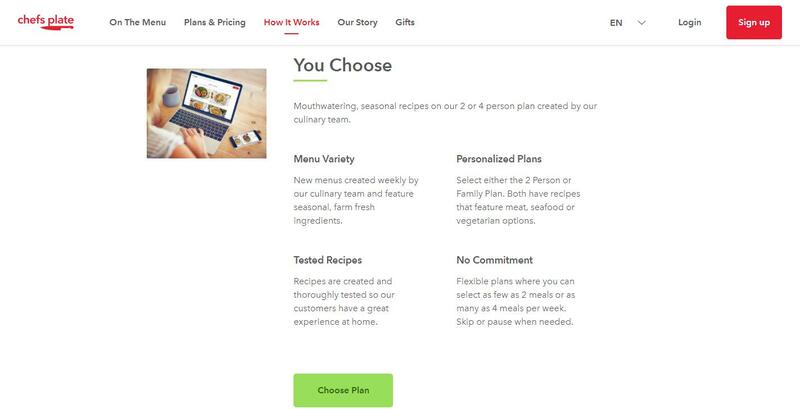 You can select your recipes from family menu or 2-person. It all depends on the meal plan you choose. 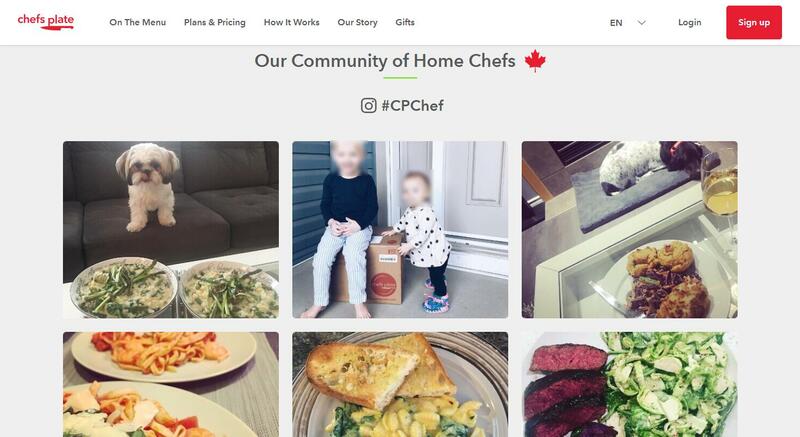 Chefs Plate 2-person menu has seven recipes and their family menu has five meal ideas. 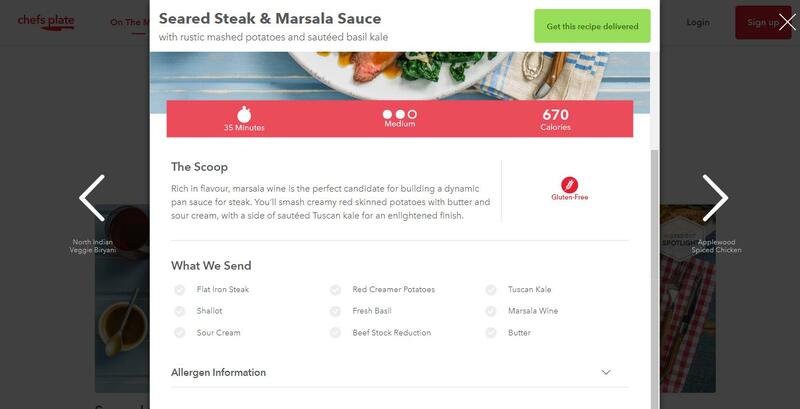 The choice of recipes varies on a weekly basis. The meals are relatively varied. They feature creative mixtures of high protein meat, seasonal produce, seafood and fish with moderate carbohydrate content-enough to make meals comforting and pleasing. The amount of calorie in every meal is usually between 430 and 720 calories for every serving. However, what makes Chefs Plate disappointing is that they don’t cater meals to people with special dietary needs. 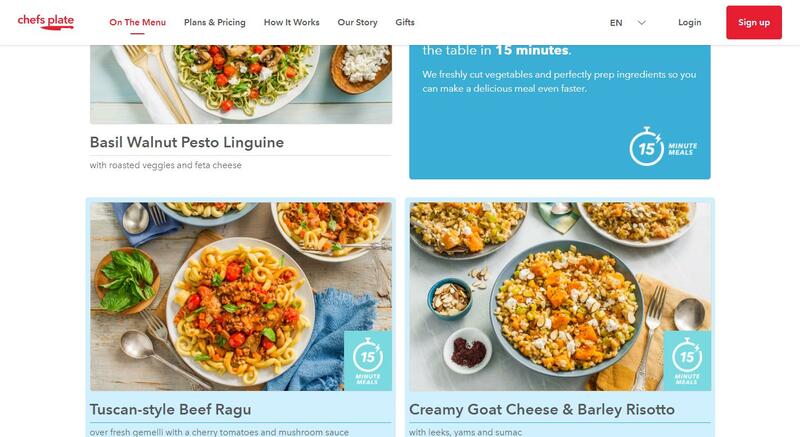 On occasion, it provides recipes which are dairy-free, a gluten-free, vegan or vegetarian, but such dishes aren’t numerous and aren’t available each week. Foods usually take between twenty to thirty minutes to prepare and the service often provides one-pot recipe which reduce cleanup. Each recipe includes details on the intricacy level. 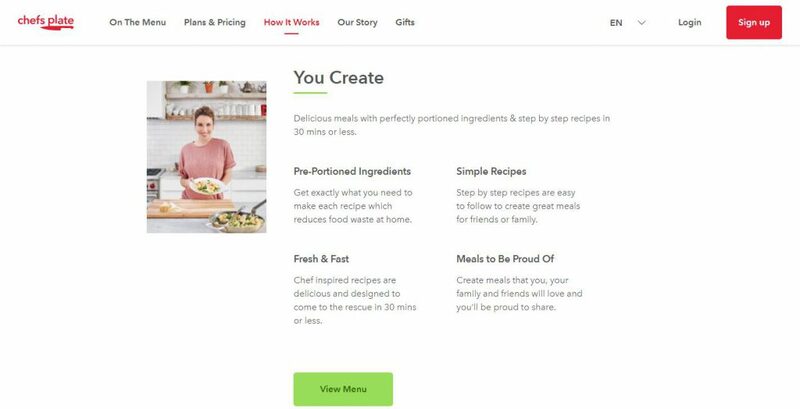 A lot of recipes offered belong to medium groups. The service offers the whole thing you want to prepare meals side from basic pantry items such as oil, pepper and salt. The recipes don’t call for fancy tools. So, what you need are pans, pots, parchment paper, chef’s knife, baking sheets, casserole dish, spoons as well as measuring cups. Every meal delivered comes with nutritional information. Every bag contained pre-portioned ingredients which were needed to prepare the meal. The ingredients stayed cool inside the box. Ingredients are separated and ice packs are also included to make sure that they kept chilled. Chefs Plate offers meals that are healthy and nutritious badly needed to keep your body healthy and fit. For best results, you can combine healthy food with exercise in order to reach your fitness goal. 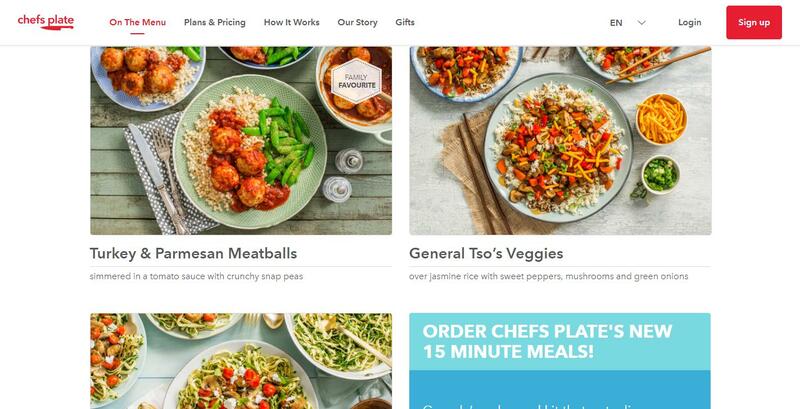 This food delivery company allows you eat healthy food without the stress of shopping and planning. They made cooking so easy. The recipes are easy to follow, with photo instructions as well as pre-measured components kept preparing food stress free and fun. Wholesome meals and dishes were portion-controlled in order to cut down or eliminate food waste. What is more, it gave you the chance to try fresh and creative foods. 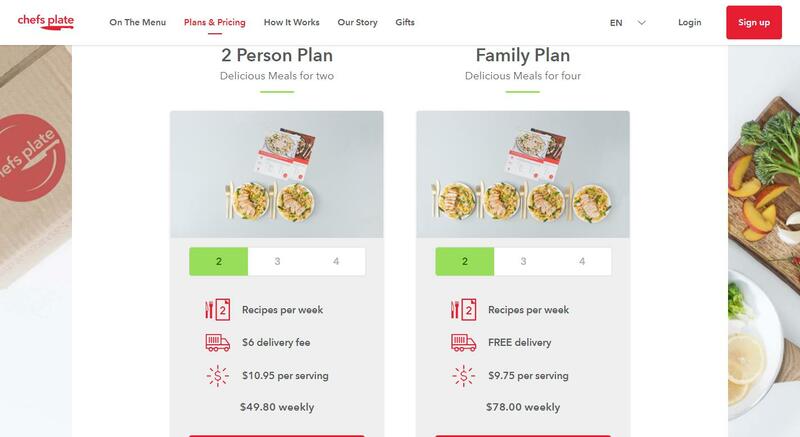 Due to incredible transparency and simple pricing, this meal delivery service provider allows customers to easily understand the cost of the orders. Meals don’t come with individual costs; rather the cost is determined based on the amount of serving for every meal. 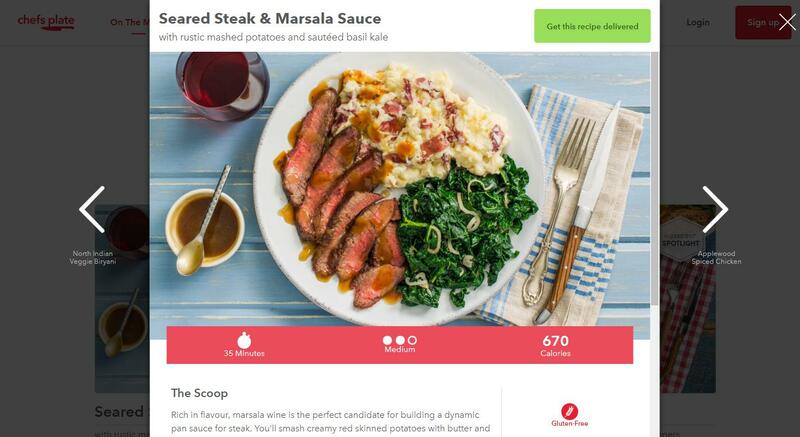 A 2 person meal plan has a price of $10.95 for every serving. 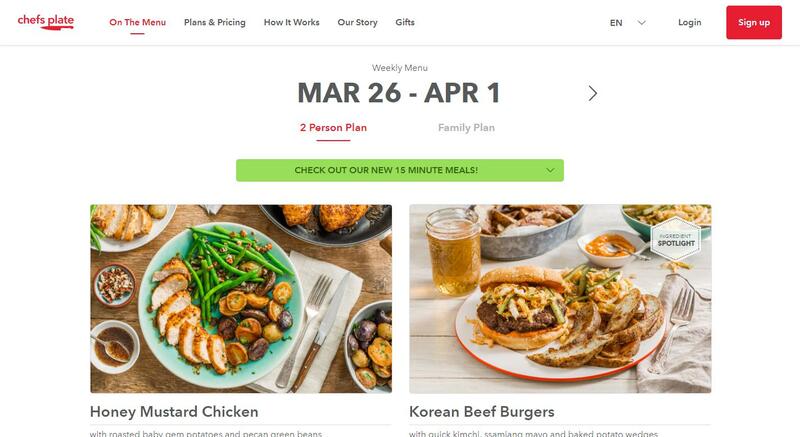 While, Family Plan it has a price of $9.75 for every serving. 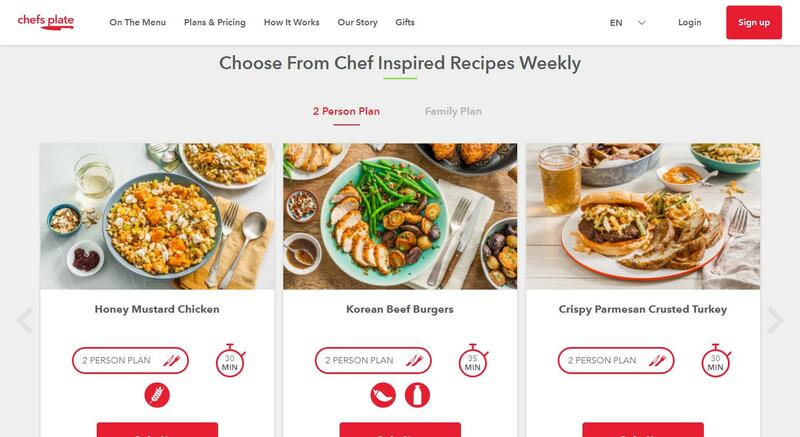 The cost stays the same it doesn’t matter if you order two, three, or four recipes a week. 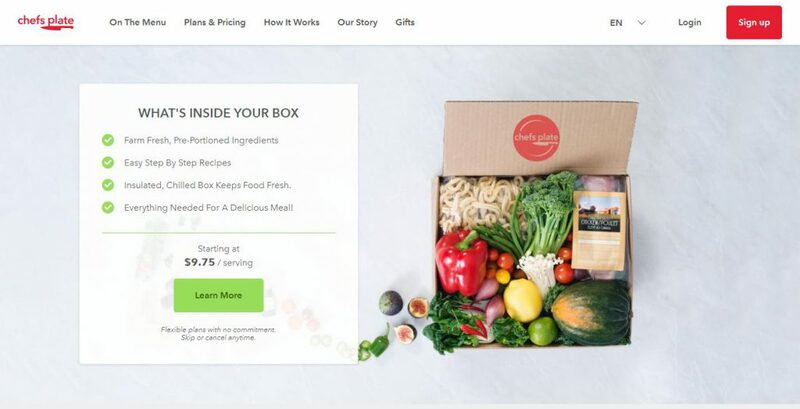 Delivery is free, with the exemption of the two-person boxes with two recipes that comes with a $6 delivery charge for every box. 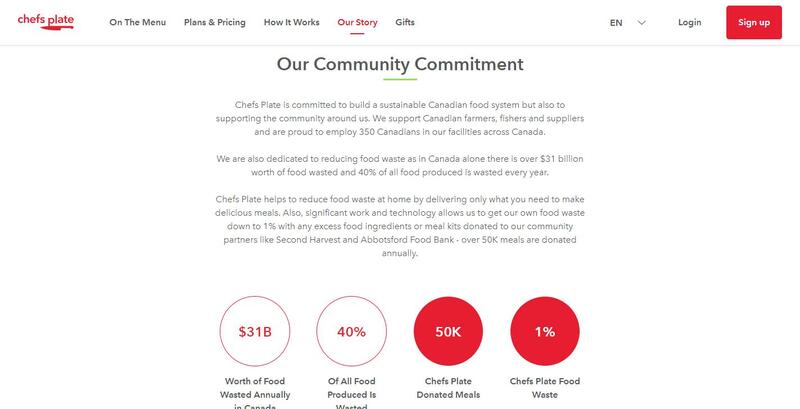 Chefs Plate only delivers meals to specific part of Canada. 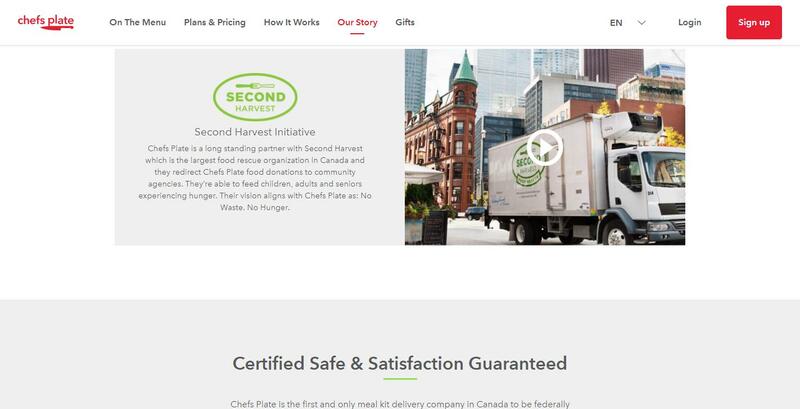 Right now, the service delivers to most locations in Alberta, British Columbia, Ontario, Manitoba, Prince Edward Island, Saskatchewan, Nova Scotia, New Brunswick as well as Quebec. Shipping of your meals is made during Monday through Friday. The shipping day will be depending on your location. You don’t have to present at home to receive the delivery, provided the fact that there’s a safe area to leave your orders. For more information about their services, you can visit their FAQ page or call them at 1 (855) 420 2327, you can also send queries and questions through email address. Chefs Plate offers interesting meals, with latest choices being presented to the public on a weekly basis. 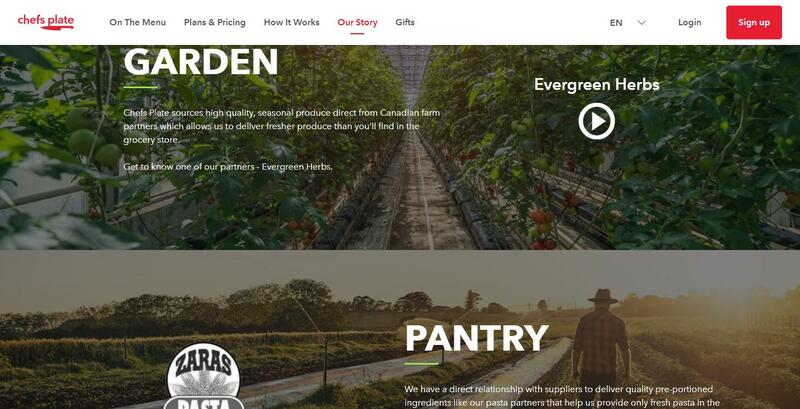 The ingredients included in every meal are extremely fresh and source to local farmers. 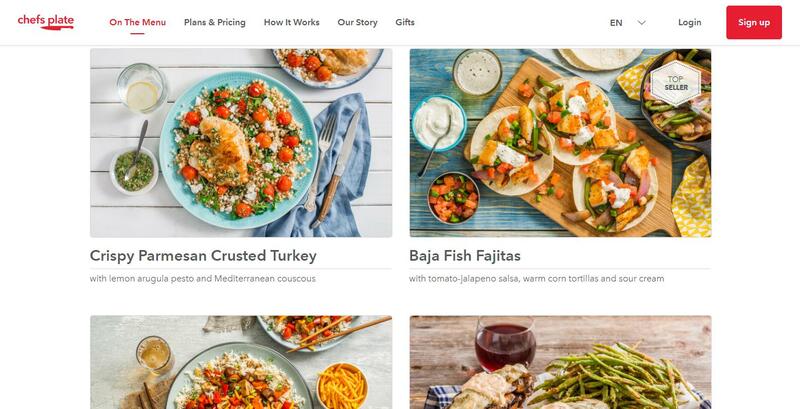 What makes this food service provider apart from the rest is the quality of their recipes. The food is natural and fresh and most of all they are easy to follow. The cost of their meal is not that high and most of the time they offer free delivery. With regards to a variety of meals, Chefs Plate has limited options but they can improve this in the coming years. 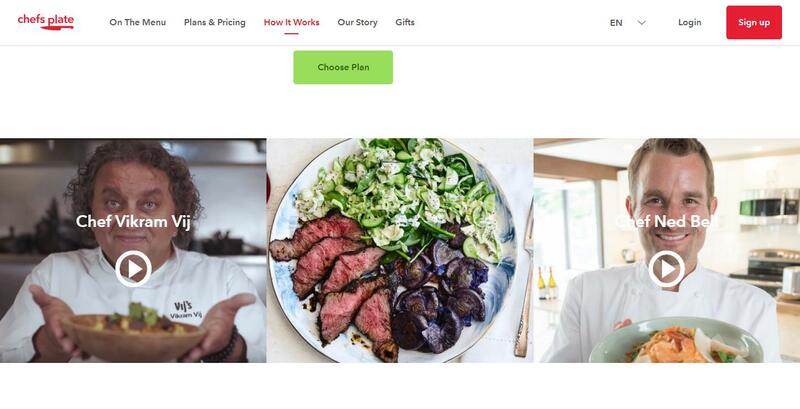 On the other hand, regardless of these flaws, Chefs Plate is the best solution for stress free cooking, most essentially for cooking at home who aren’t choosing and picky to diverse flavors. 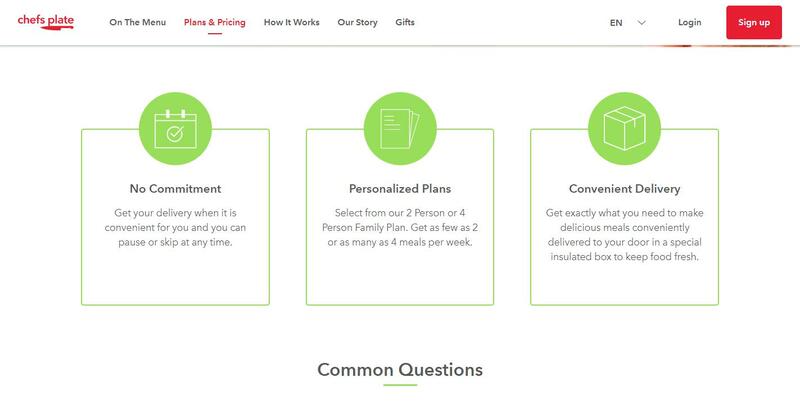 Switching Plans: You can visit the "Delivery Schedule" section of your account to edit your delivery schedule. Skip a week or cancel anytime before the weekly cutoff at 11:59pm EST. You can manage your orders up to 4 months in advance! Cancellation: Flexible plans with no commitment. Skip or cancel anytime. 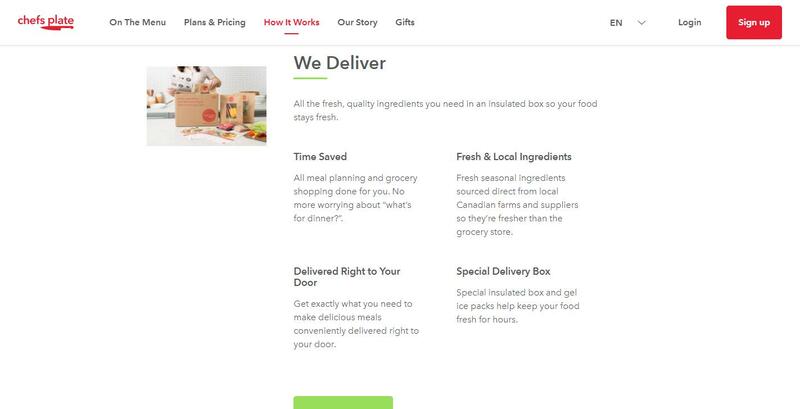 Shipping Costs: Delivery is free on all of their plans with the exception of our 2-person plan with 2 meals per week. There is a $6 delivery charge applied to this plan. 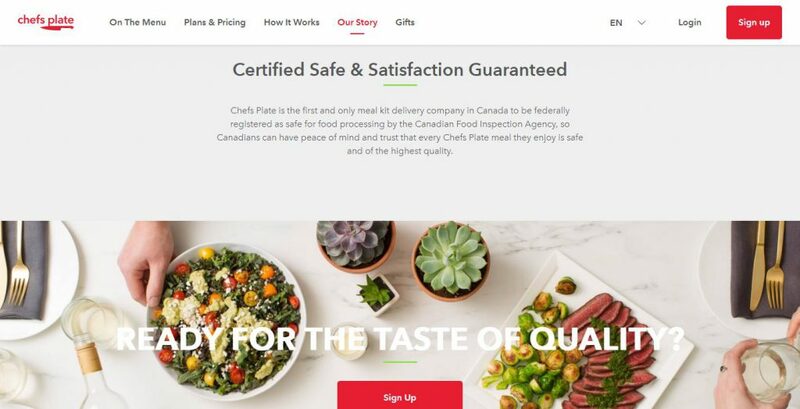 Chefs Plate is a reliable meal kit service provider based in Toronto that offers locally produced ingredients and fast recipes specifically ideal for omnivores that want easy to prepare high quality, restaurant grade foods. We found 3 verified Chefs Plate Discounts, Coupons and Promo Codes for Feb. 2019. If some of the Chefs Plate coupon codes have expired, please contact us, thank you for your help. 50% OffGet 50% off your first order with promo code! $33 OffGet $33 off with coupon code! 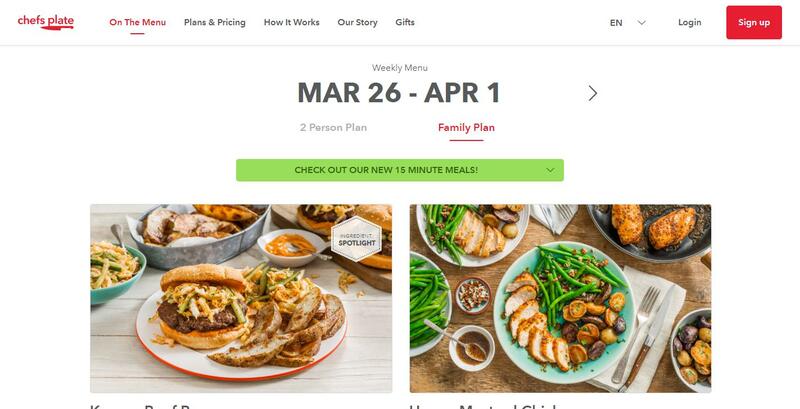 Free GiftGet 3 free meals when you sign up to any plan with coupon code! If you like Chefs Plate but aren't sure whether it's the best ideal choice for you, and may want to compare Chefs Plate with other Companies' Plans, Products, and Services that similar to Chefs Plate, or Chefs Plate Alternatives and Chefs Plate Competitors, Which companies' services like Chefs Plate. You can take a look at our professional comparisons below to discover if one of them is more suitable for you.